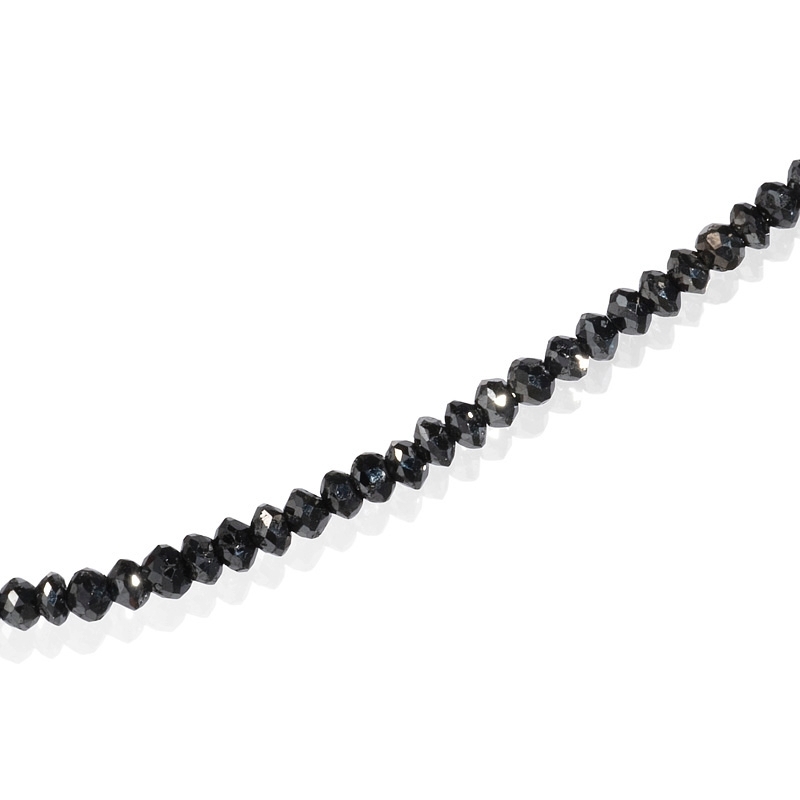 Diamond Details: Black diamonds, weighing 28.00 carats total. Necklace Details: 18k white gold clasp. Measurements: 16 inches in length and 2.75mm at the widest point. This beautiful 18k white gold necklace, features black diamonds, weighing 28.00 carats total. 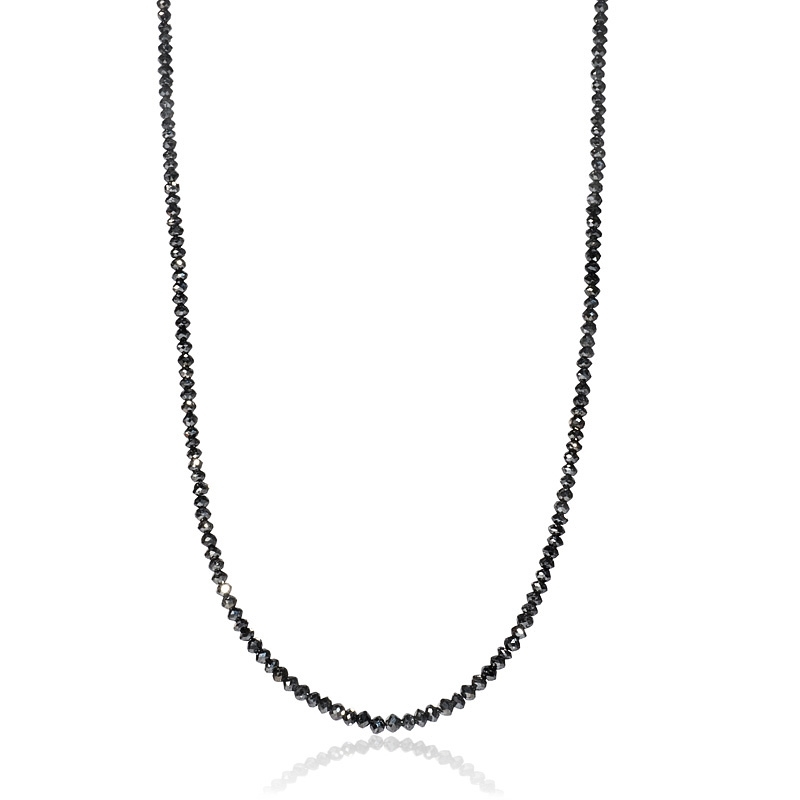 The diamond necklace measures 16 inches in length and 2.75mm at the widest point.